A prominent Saudi Islamic scholar who was previously accused of plagiarism and famous for his best-selling book “Don’t Be Sad” (La Tahzan) has announced that he would reject the Nobel Peace Prize if it is offered to him. 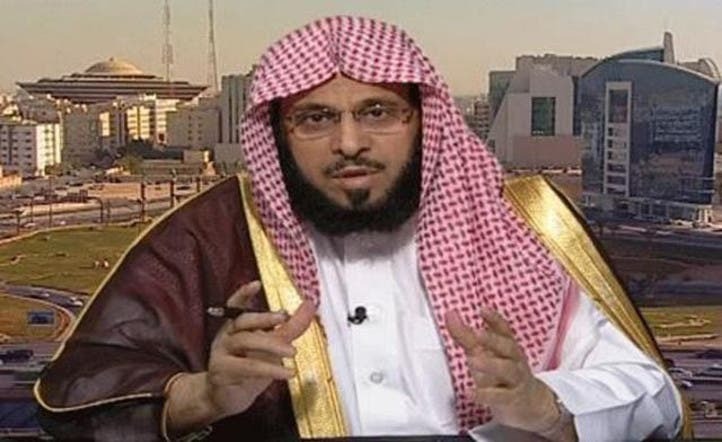 Sheikh Aaidh al-Qarni made his statement on Twitter after Saudi writer Ibrahim al-Majari wrote in a column on the daily Al-Sharq newspaper that the preacher deserves the prestigious award because he is “sympathetic to women’s rights” and because he stands against terrorism. “If those in charge of the Nobel Prize are unbiased Sheikh Aaidh would be the first winner,” Majari wrote in his article. The Sheikh, however, responded in a tweet saying: “I reject the Nobel Peace Prize and I kindly ask the committee in charge not to nominate me; I thank the Saudi columnist in the daily al-Sharq Ibrahim Al Majari." Sheikh Aaidh is famous for his book “don’t be sad” (la Tahzan) which sold more than 10 million copies. But the prominent Sheikh, who has more than 2.5 million followers on Twitter, recently faced a credibility crisis after a fellow Saudi female writer and author accused him of plagiarizing her work in another book he authored. Salwa al-Aededan accused Sheikh Aaidh of having offered her 10,000 Saudi Riyals ($2,600) so that she could drop the plagiarism case against him. Aededan claimed Sheikh Aaidh stole some parts of her book Hakada Hazamo al-Ya’as (This is How They Defeated Desperation). She later won the legal case against him and was awarded 300,000 riyal ($80,000) in damages. The court fined Aaidh 30,000 Saudi riyals ($8,000) to be paid to the government. Sheikh Aaidh’s book was also withdrawn from book stores and banned from entering Saudi Arabia. Samir Faraj, an Egyptian poet, also claimed that Sheikh Aaidh stole some of his poems.